When Johnny Molloy called and said, “hey Sandra, would you like to work on a book with me,” I said “heck yeah!” I’d admired Johnny’s work ever since I returned to Florida, and the first edition of this very book was the first hiking guide to Florida that I purchased. 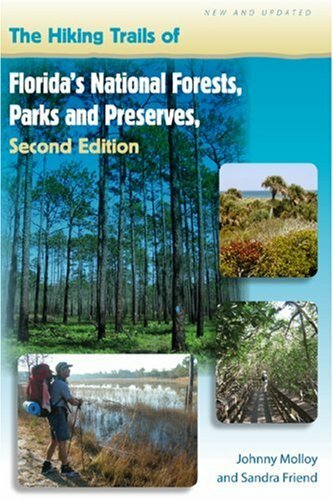 While Johnny thru-hiked the Florida Trail and dealt with the offshore and distant outposts of Biscayne National Park and Gulf Islands National Seashore, I updated the Everglades – which was severely hit by hurricanes Wilma and Katrina – and the day hikes throughout the book, adding details about the short nature trails. I also hiked the new Western Connector of the Florida Trail in the Ocala National Forest, and that was quite the experience! Together, our combined trekking throughout Florida brings an entirely fresh book to you. Softcover. 240 pages, b&w illustrations.